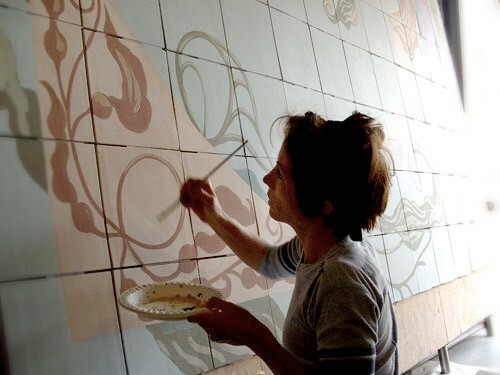 Whitney-Hall Studio is a full-service art and design studio based in the Los Angeles area. Owned and operated by Dawn Whitney-Hall (formerly Dawn von Flue). Our mission is to provide a range of high-quality art services including, but not limited to; commercial and residential murals, fine art services, faux finishing, and illustration. We have been in business for over 20 years, working with a diverse clientele, from corporate interests and public institutions to building contractors and private individuals. We make a point to serve each client with care and attention regardless of the size of the job. We pride ourselves on exceptional American hand-made craftsmanship in every accomplishment of our studio, including our personally created wares and products. We believe that art endeavors to enrich our lives, and we consider ourselves lucky to be able to endeavor to make it, in whatever medium it chooses, be it big or small.